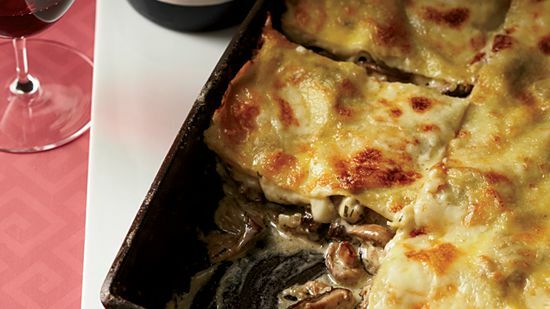 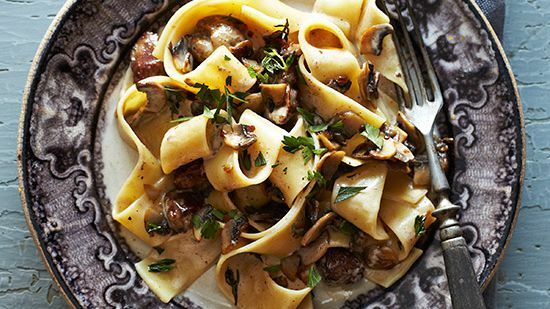 These hearty pasta dishes with mushrooms—think spaghetti with garlicky Marsala mushrooms and creamy buckwheat pasta with wild mushrooms—are comforting and easy to make. 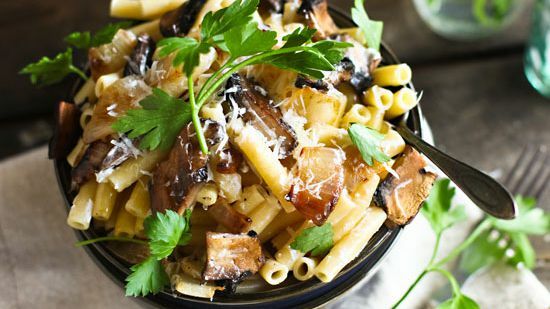 This hearty pasta recipe banks on the garlicky flavor of the mushrooms to complement the familiarly delicious taste of pasta. 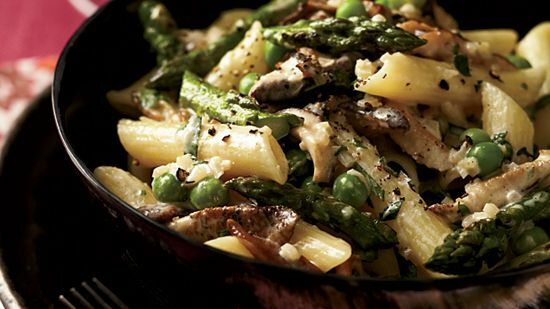 This simple vegetarian pasta combines the flavors of spring--mushrooms, peas and asparagus--in a luscious creamy sauce. 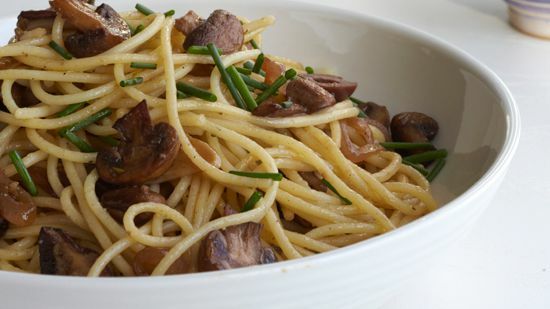 The humble chicken liver adds depth to this luscious dish--no wonder it's the new "it" ingredient. 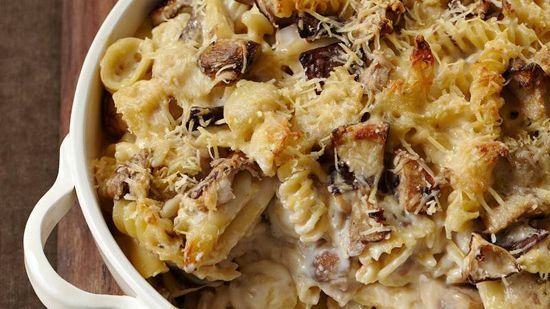 F&W's Melissa Rubel Jacobson created this recipe to use up extra dried mushrooms and odds and ends of pasta. 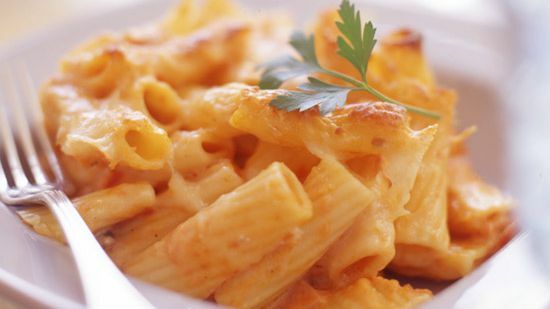 While the different pasta shapes cook at different rates in the water, they all become tender once baked. 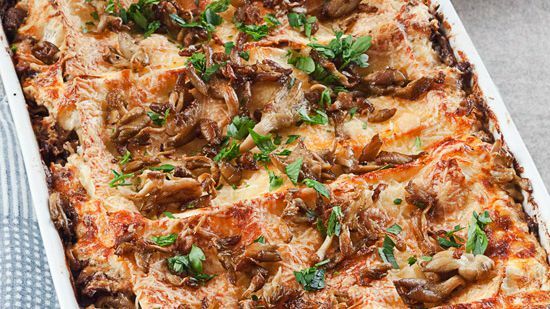 Chefs love showcasing the intensely earthy flavor of buckwheat in rich, luxurious dishes. 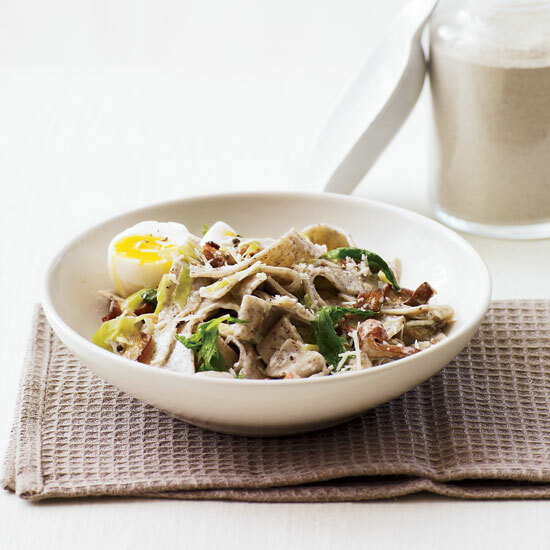 At Craft Los Angeles, Matthew Accarrino tosses buckwheat pasta with creamy mascarpone, silky mushrooms and runny eggs.